I have two friends that suffered breast cancer before the age of 40. Breast cancer is not the only form of cancer affecting women of child-bearing age. Young women suffer from colorectal cancer, lymphoma, leukemia and other forms of cancer. The treatment protocol for each patient is agreed upon after input from various clinicians and cancer experts, but the general rule for all forms of cancer treatment is to stop breastfeeding while undergoing treatment – but that may soon change. According to a new review in the journal Cancer Treatment Reviews, clinicians are not sure why breastfeeding women are told to stop breastfeeding. The aim of the review was to go through all current research and trials and establish some form of baseline for current and future medical advice. While the abstract did not go into detail about the results of the review, the fact that clinicians are concerned about how to advise breastfeeding women says enough. How Do Women Handle Breastfeeding with Cancer? There is little information about how women should handle breastfeeding with cancer. The general rule is You Can’t – hands down – that’s it! But, not all women take that answer and run with it. I found women who used donated breast milk to continue breastfeeding through surgeries, chemotherapy, radiation and other treatments, but what I did not find were women who breastfed while undergoing cancer treatments. According to one medical source, breastfeeding is safe during diagnostics like X-ray and MRI, but lactation could interfere with the readings. During chemotherapy, radiation and oral medication treatment, the best a woman can do is pump and dump. 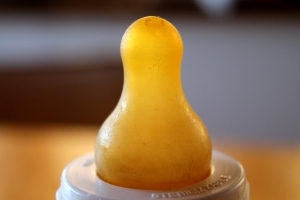 Pump and dump is the process of pumping breast milk to keep lactation going and dumping the milk in the trash. When the cancer drugs have cleared your system, you can go back to breastfeeding – in theory. Doctors warn that even though breastfeeding is best for baby it is not safe to continue breastfeeding in lieu of cancer treatment. Your life could be in danger if you do not receive cancer treatment early. Previous: How Big is Too Big for a Vaginal Delivery? Next: What is Prodromal Labor?